I got the opportunity to try out a new brand a while ago and have been testing out the colors and top and base coats. 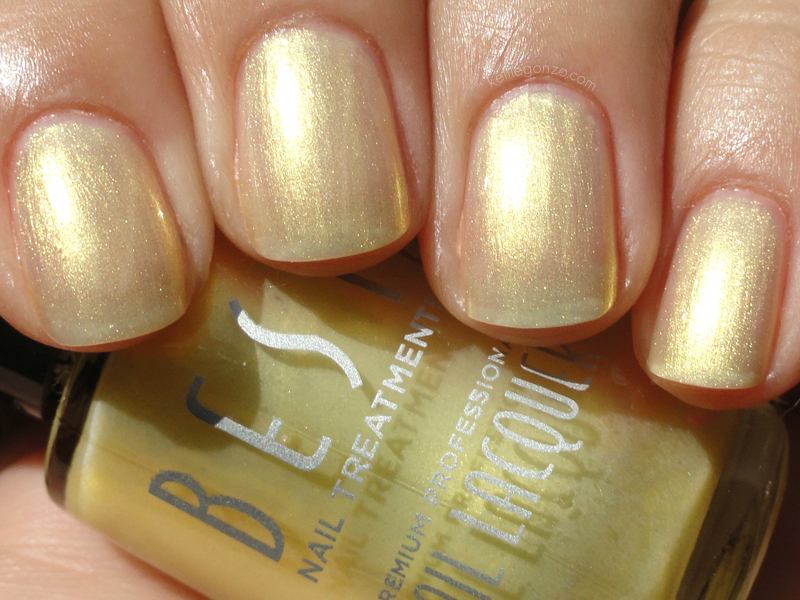 Best Nail Treatments is a company started by a former owner of Poshe, the brand of one of my favorite top coats (easily found in Sally Beauty Supply). They have 54 polish colors right now, everything from crèmes to glitters to "effects" top coats. First is my favorite of the colors I tried, by far. 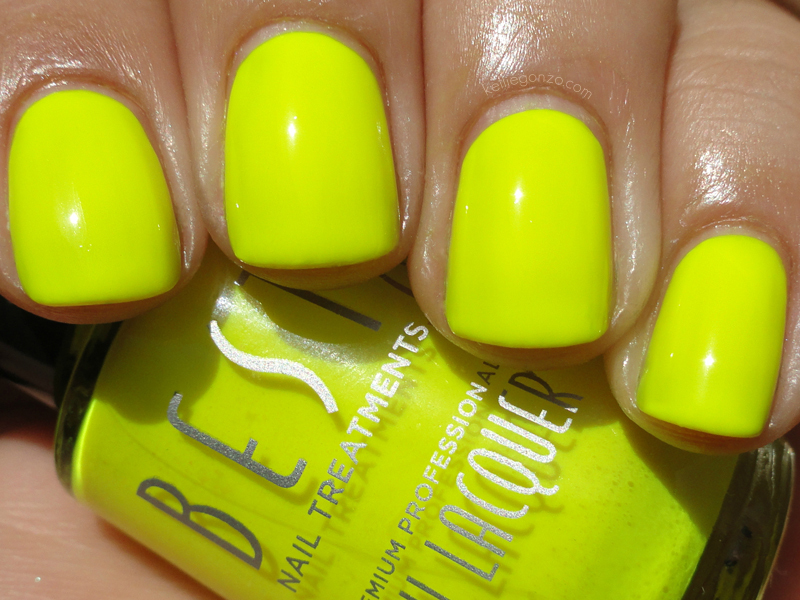 Pineapple Express is a neon yellow crème that is pretty easy to work with and has tremendous color payoff. This is three coats. Beware, though, this beezy stains like no other. 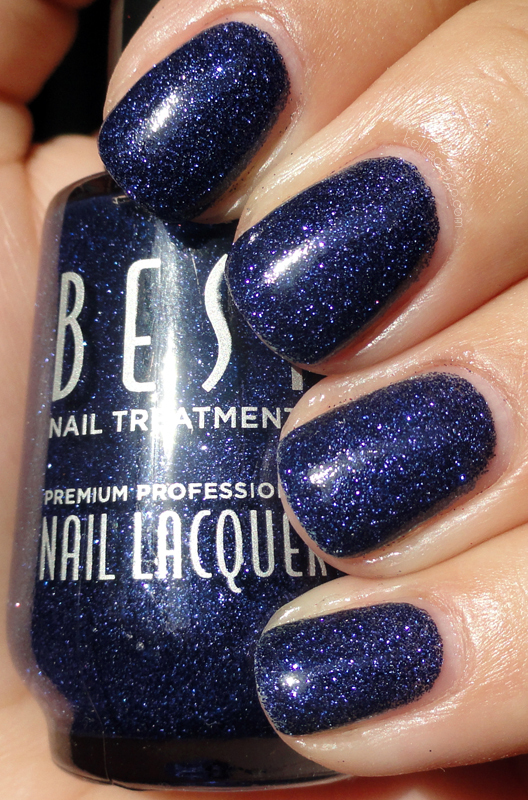 Next is a glitter called Midnight Star. The BNT glitters are just straight glitter pieces in clear polish, as far as I can tell. I typically do not like these type of polishes because they are gritty, hard to apply, hard to remove, and spread like the plague. I would say these are true to that pattern. This is a fine color, I just didn't like putting it on or taking it off, and there are a billion little pieces still stuck to my nail even after a hefty clean up job. Three coats here. 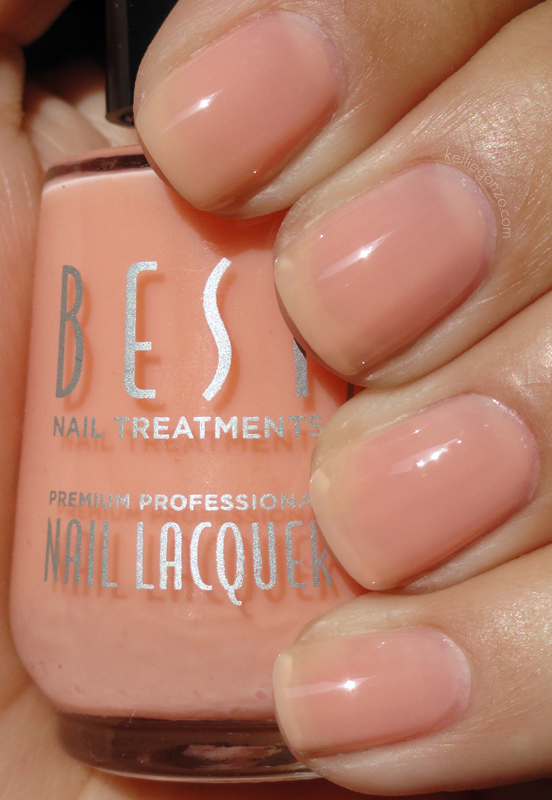 This is Baby Pink, a color that is meant to be used when doing a French manicure, but I used it on its own. This color is lovely, a tad thick and w/o much color, but yes nice and milky. Three coats here. Next is Lemon Cello, which sounded delicious in my head haha. It's a light gold yellow frost, very different from anything else I own. It was pretty sheer, this is three coats. This is another glitter that I had trouble with, Promiscuous. I honestly chose it for the name haha (funny enough, the label is spelled as "Permiscuous".) It's lovely enough, once I got it on. I just can't imagine wearing it again after all the clean up I had to do. Three coats. This is a pretty color, Preston On the Creek, a blue with slight purple pearl shimmer. This one stained too, but it was very lovely and easy to work with. Two coats here. 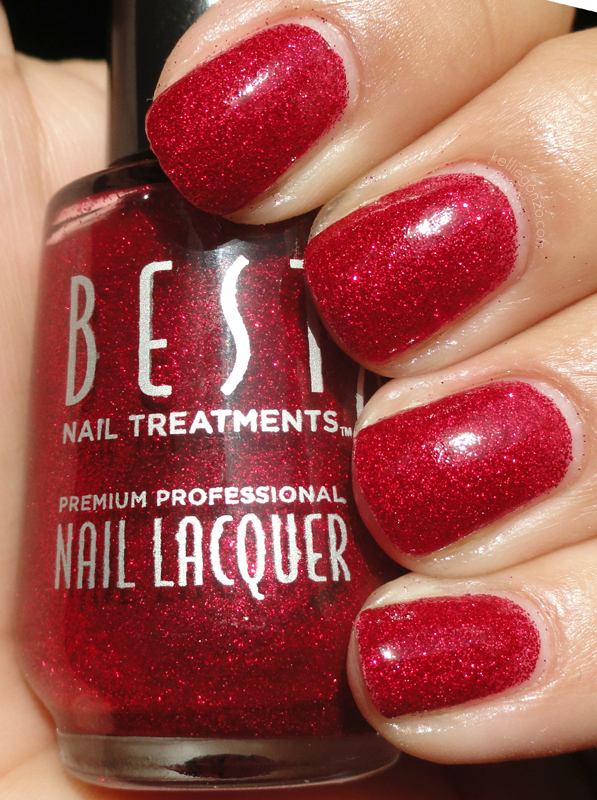 Last of the colors is Brick, a red glitter with slight color in the base. This one was a tad easier to apply but not much. Three coats. The Base Coat and Top Coat have a technology called "Air Cure" which means that they use the air to harden, without the use of uv light or fans or heat. It sounded wonderfully unique when I first heard about it, but really aren't most top coats and base coats like that? Oh well, that's marketing 101 for ya ;) The Base Coat is rubberized, like Orly's Bonder, flows easily and attaches to polish nicely. It didn't do much of anything for staining unfortunately. I use this for swatching sometimes, but it is a tad thick which is odd for a base coat, that adds to drying time. 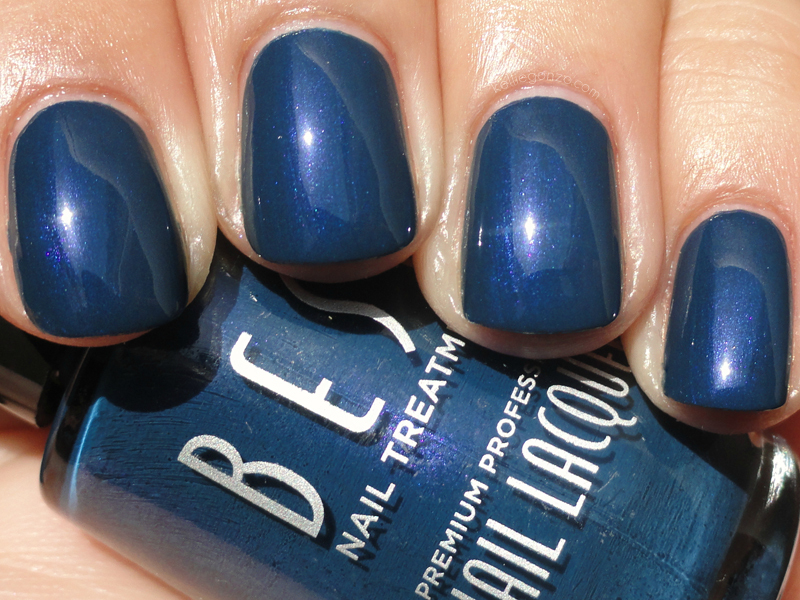 The Top Coat was one I was really excited to try out, boasting that it was significantly better than Seche Vite or other quick-dry top coats on the market. Unfortunately, after exhaustive (really, believe me) testing, I just couldn't get it to dry on me. It was thin and hard to apply in the first place, and it just stayed tacky and sticky even after an hour or more! I tried it and failed again when I read my friend Andrea's blog post about the brand, because she said it was the best top coat she'd ever used. I am a firm believer in different body chemistry affecting how polish wears from person to person, so I guess I just struck out with this one. 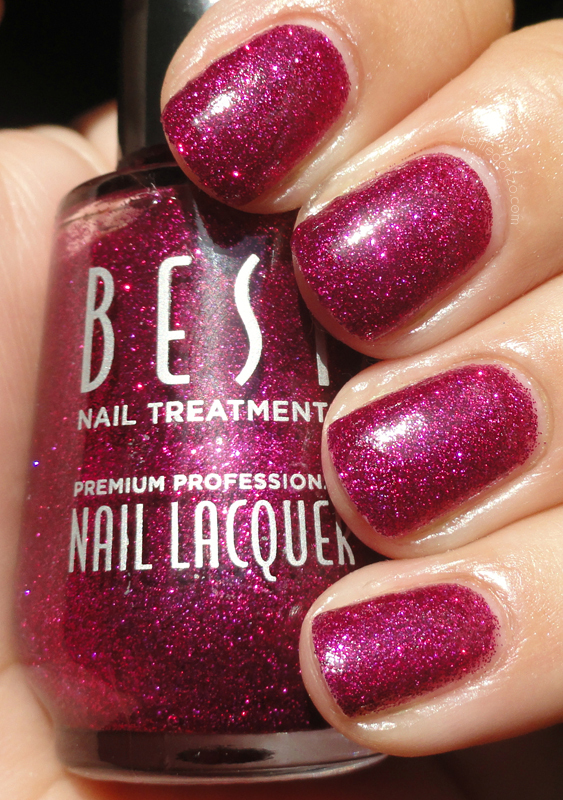 You can find them for $5.99 each on http://www.bestnailtreatments.com.